Martin M160 Silverplated Classic Guitar Strings High Tension Ball End offer a brilliant tone with a silverplated copper wrap wire around a durable stranded nylon core. Martin & Co. designs and manufactures the strings themselves. Like their guitars, each string is made with patience, care, and precision with only the highest quality materials producing strings with exacting tone and superior performance. 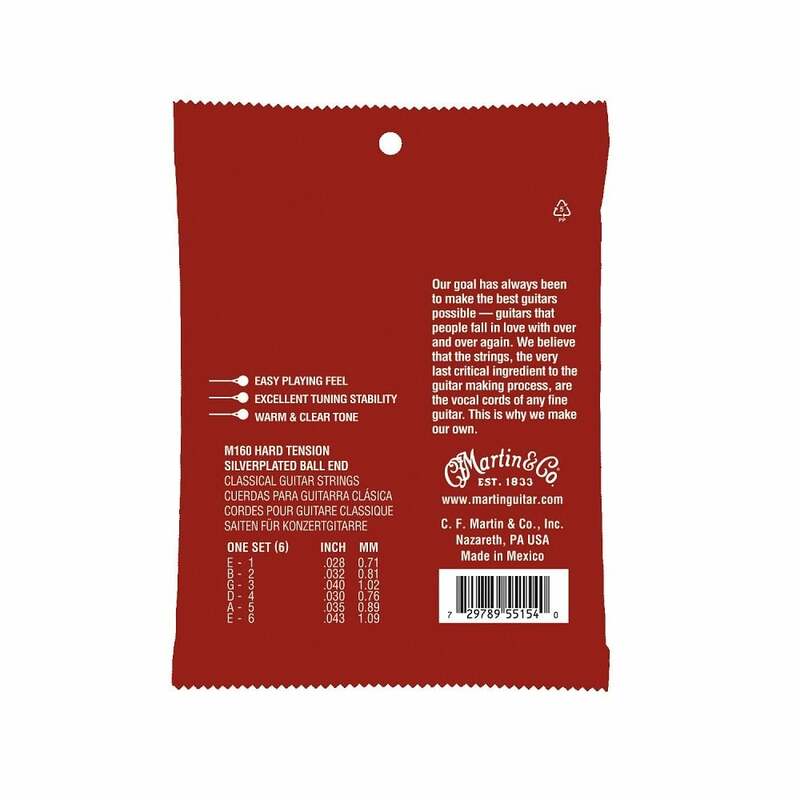 Not only are their packaging materials minimized and 100% recyclable, but the envelopes reduce the tarnishing effect on the strings.